Driving from Adelaide to Port Neill, on the Eyre Peninsula, will take up most of an entire day. It's about 575kms all up but definitely worth it if you have a few days to spare and enjoy seafood. 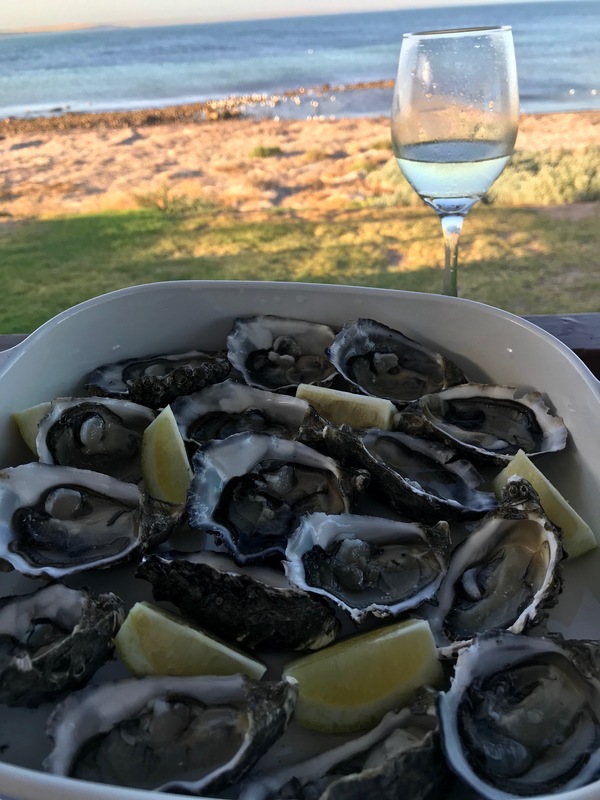 To break up the journey, you might like to stop and buy some fresh West Coast oysters. We bought ours at a petrol stop in Cowell and ate them immediately on arrival in Port Neill. With a restorative glass of wine of course. 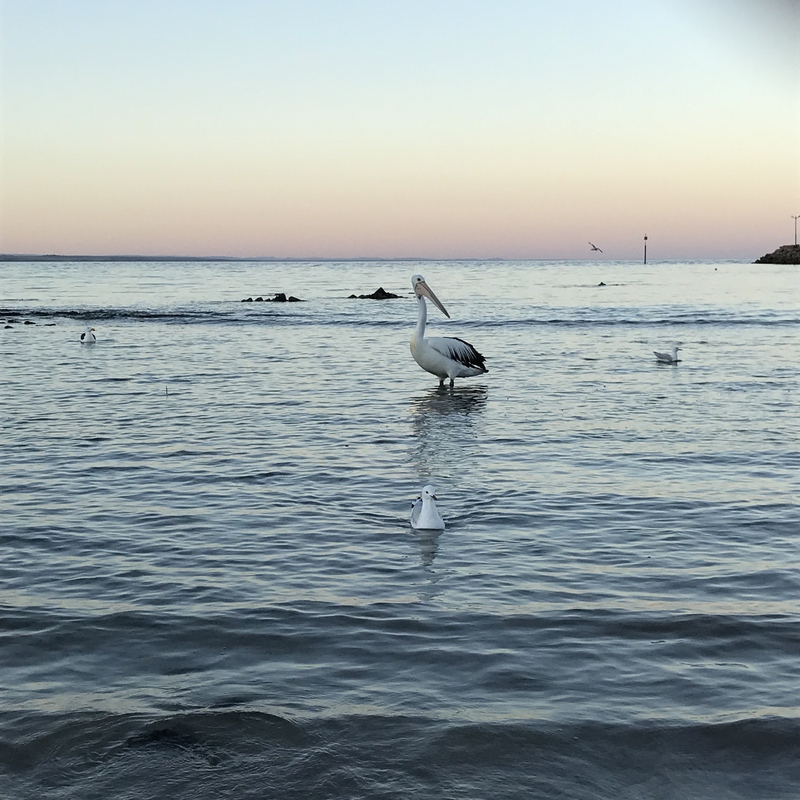 Port Neill is located on a calm bay surrounded by white sand and pristine sea. This tiny coastal town has a small population of around 152 but great pride in their place is evident. Opposite the Port Neill Hotel and close to the town jetty is one of many art installations. 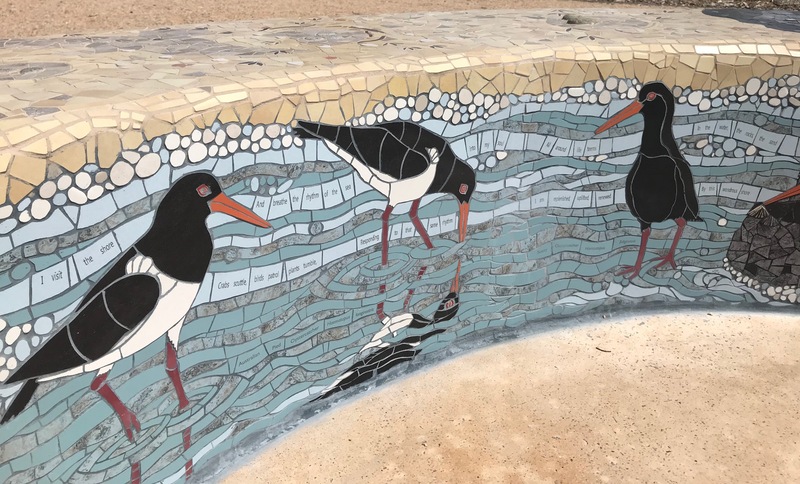 In this case, a beautiful mosaic bench whose design is intended to raise awareness of local beach-nesting birds. The design also incorporates a poem by a talented local resident. 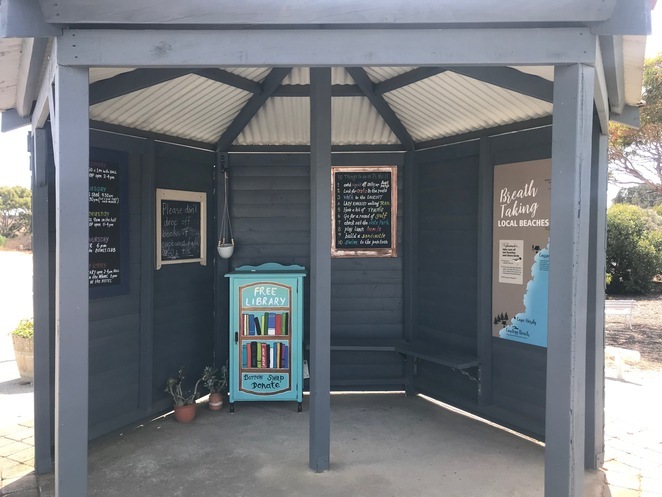 Opposite the General Store, there is a small pavilion housing a 'free library', a community herb garden and information boards relating to the town. One of the information boards lists '10 things to do in Pt Neil'. Number 4 on the list is The Lady Kinnaird Walking Trail, which begins at a large anchor opposite the pub. The Lady Kinnaird operated between Britain and Australia in the late 19th Century. 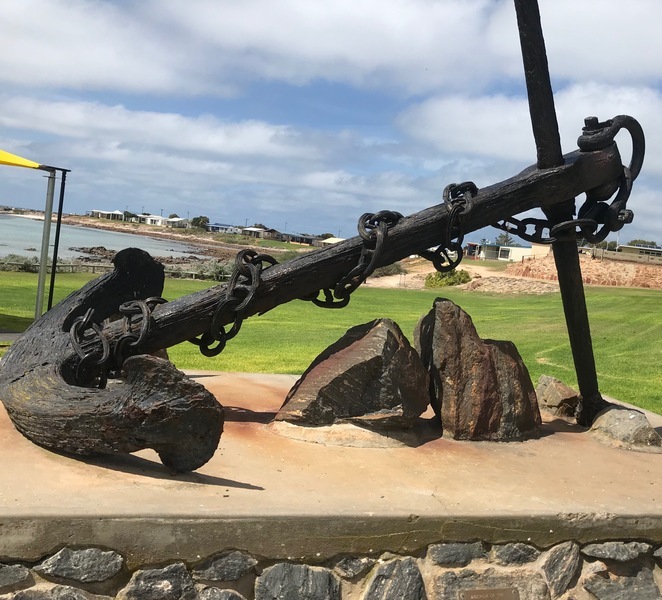 She left Port Pirie on 19 January 1880 with a cargo of wheat but was shipwrecked just off Port Neill. All crew swam ashore safely thanks to the mostly calm waters of the bay. 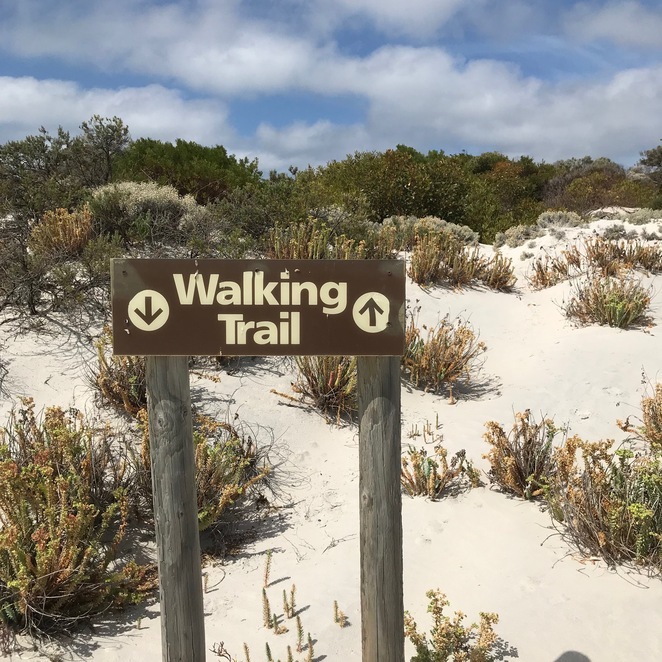 The walk is signposted and leads along the foreshore and through the dunes to a series of small coves. 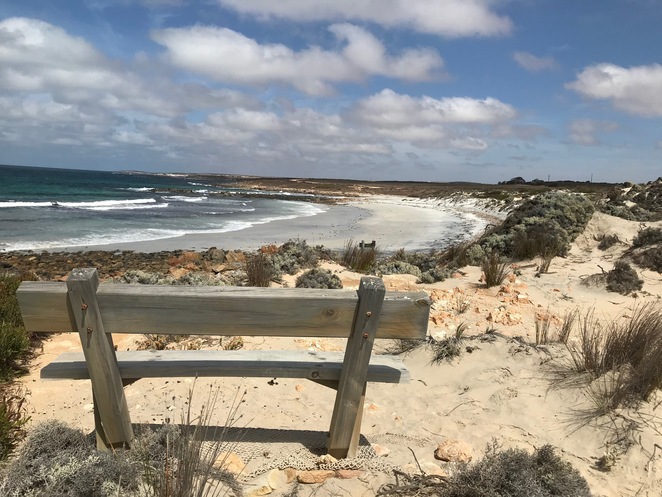 There's a bench near the site of the shipwreck offering the opportunity to pause and enjoy the tranquillity. There are nine other suggestions on the '10 things to do' board. The first is the best: catch a squid. They are seemingly easy to catch in this area and are a delight to eat. 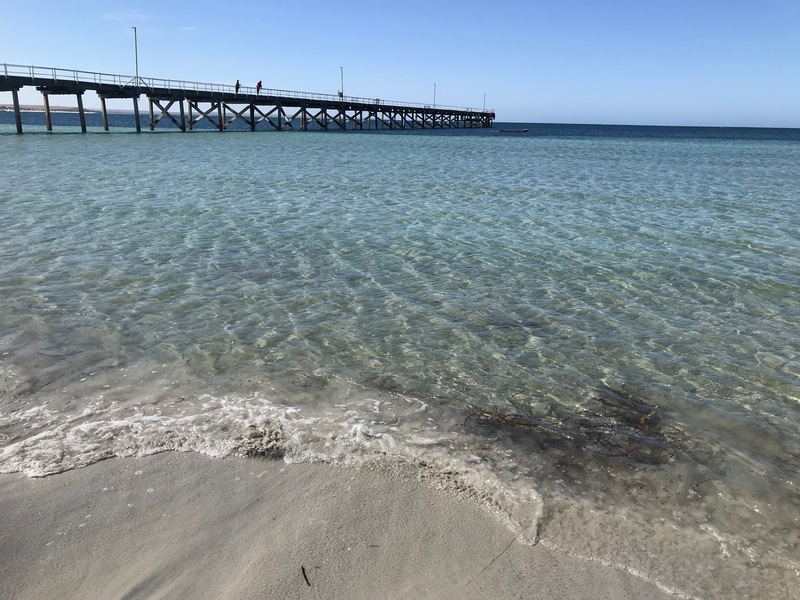 There are also whiting, trevally and snapper to be caught. It's a fisher's paradise. Or a slow food lover's paradise. The calm and peaceful nature of Port Neill is conducive to reading and writing also. Two more things to add to the list. The mosaic looks amazing with the reflective water effect it creates. This is a great article. 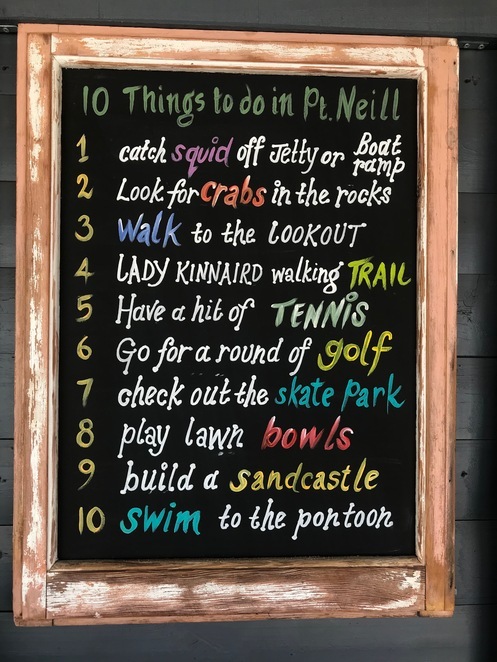 Port Neill is definitely on my list for a getaway now I have some info.